What is hypoallergenic dog food and how can it help your dog food allergies (which include symptoms such as severe itching, hot spots, constant licking, constipation and diarrhea)? A hypoallergenic food is designed with the following types of ingredients: 1) minimal, 2) high-quality, and 3) uncommon. So how will this help with your dog allergies? Minimal ingredients mean the ingredients list will not contain tons of different ingredients. 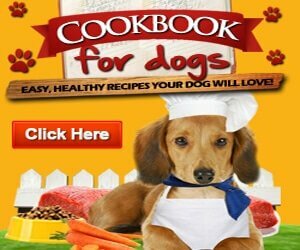 This is very helpful in eliminating what can be your pooch’s allergy trigger. Allergy triggers can be anything from the protein source, grain source, even artificial colors and flavorings. By keeping the ingredient list to a bare minimum, you may be able to cut out the trigger. Another common trigger for food allergy symptoms or sensitivities in dogs is the low quality ingredients found in many of the major commercial dog foods. By switching to a hypoallergenic dog food with high-quality ingredients, your canine companion will be healthier and better able to fight off simple allergens naturally. 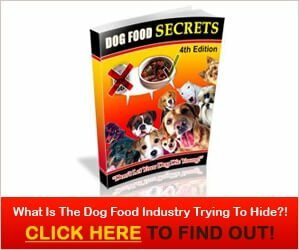 Possibly one of the most important aspects of a hypoallergenic food for dogs is that is will not use common protein sources or common grain sources, since these are the most common causes of a pet’s food allergies. Salmon, bison, and venison are examples of some of the different types of protein sources used. Grains will not include the most common grain, corn. Instead, grains like oatmeal, millet, and brown rice will be used. If your dog has food allergies, you might want to switch to a hypoallergenic dog food that has completely new protein and carbohydrate sources. Not only will this more than likely not include the offending ingredients, but the quality of the food is much higher, giving your buddy a much more nutrient-dense dinner. If you enjoy the 3 Ways Hypoallergenic Dog Food Can Help Your Dog Allergies post, share it with your friends on facebook and pinterest.